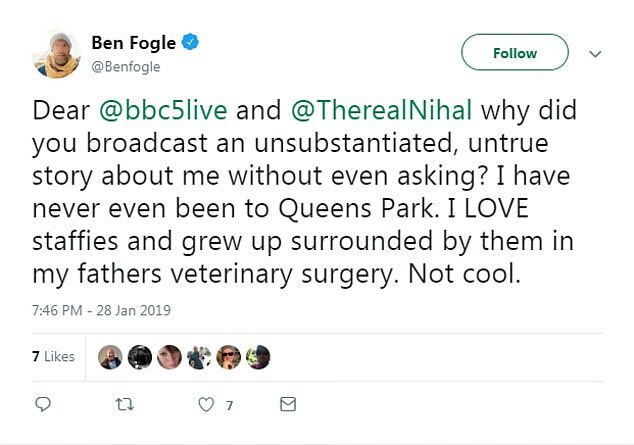 TV star Ben Fogle is engaged in an acrimonious Twitter spat and has threatened to sue the BBC and one of its radio presenters after a DJ called Mr Fogle a ‘wrong ‘un’ live on air over a row about dangerous dogs which Mr Fogle insists is a case of mistaken identity. Dog-lover Ben Fogle, who made his name on BBC One’s Castaway and has recently hosted two shows about dog walking will present the countdown of the nation’s top 100 favourite dog breeds on ITV tomorrow night. 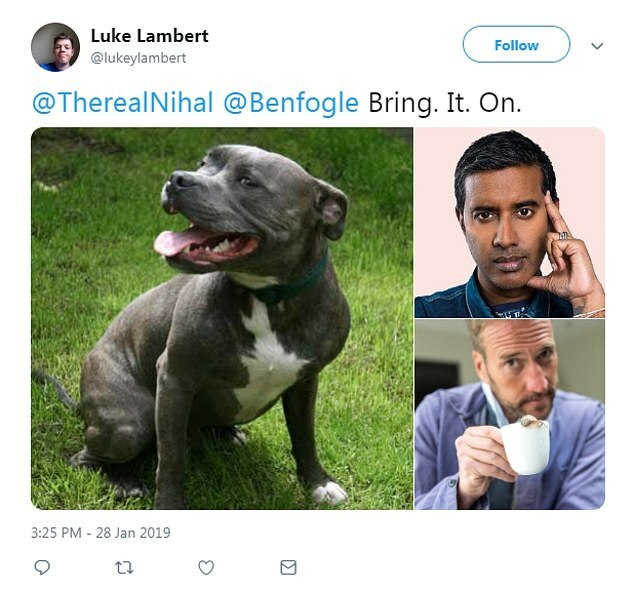 But BBC Radio Five Live host Nihal Arthanayake told his listeners Mr Fogle harbours a grudge against Staffordshire Bull Terriers. 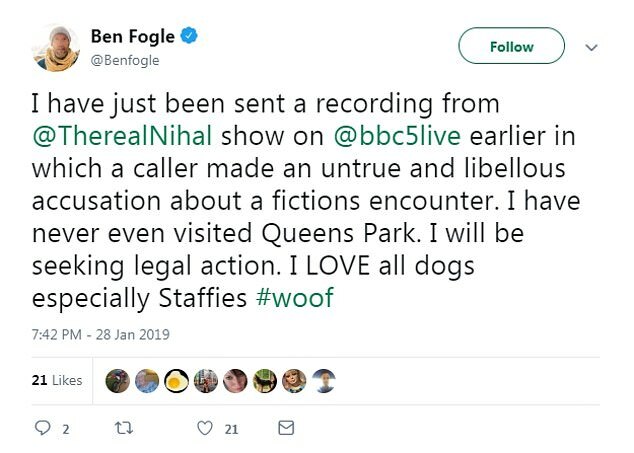 On his lunchtime show Mr Arthanayake alleged Mr Fogle had once warned his own child against Staffies in front of the radio host’s family on a day out in London. 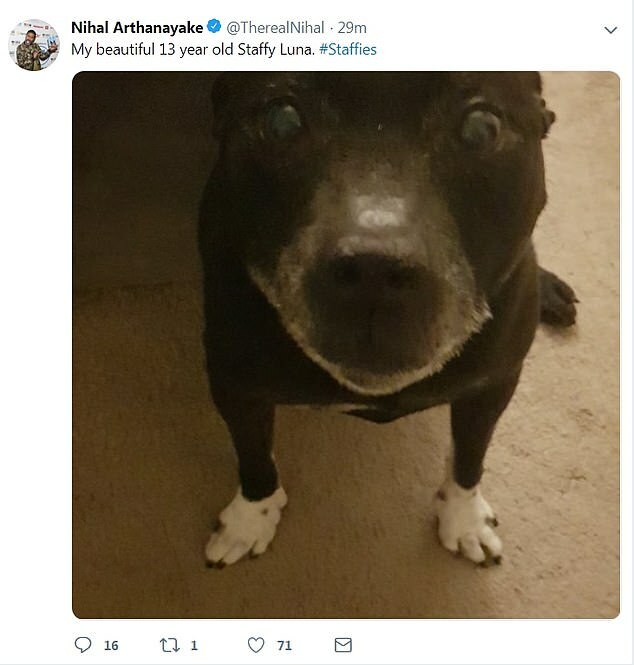 Mr Arthanayake said: ‘There is a very well known TV presenter who was once quite rude about my staffie, in public. ‘My wife is in Queen’s Park, right? And she’s with our kids, and our staffie. ‘My wife is there, with our kids, and with the dog. And he says it so loudly that she can hear him saying it. 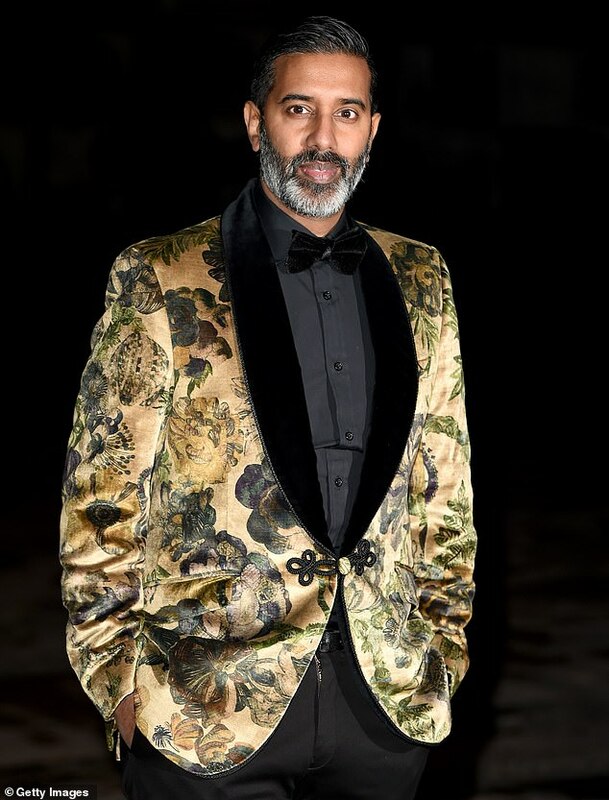 Mr Arthanayake’s co-host then broke the news that Mr Fogle was due to present the ITV run-down, to which he replied: ‘You’re kidding me. He was so rude. 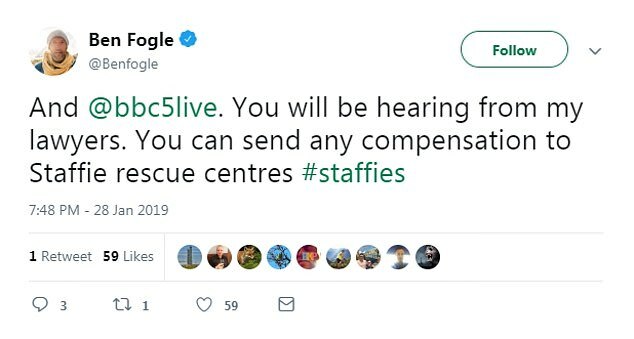 A spokeswoman for Mr Fogle told MailOnline the TV presenter was ‘absolutely incensed at this uncorroborated, hurtful and false allegation’. 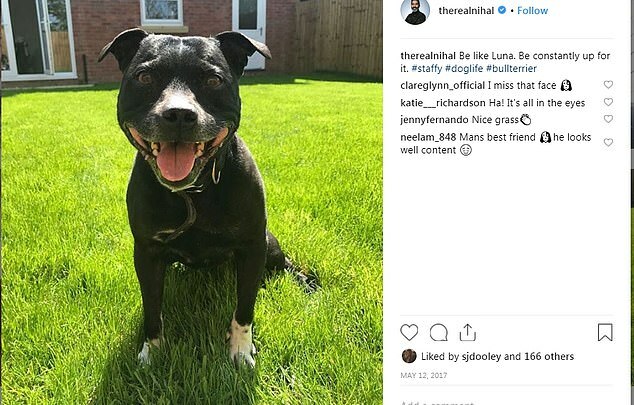 She added: ‘Apart from the fact that he has never been to Queen’s Park in his life, more importantly there is not a breed of dog on this earth that he does not love. ‘No-one who knows Ben would believe this absolute rubbish’. In a later Tweet is warned the Corporation would be ‘hearing from his lawyers’. 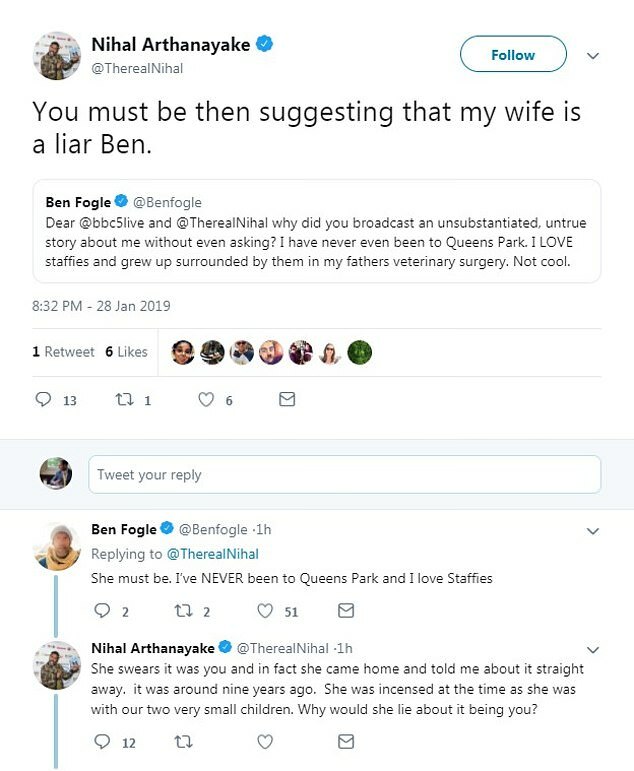 After Mr Fogle hit back on Twitter the row deepened, with Mr Arthanayake accuding Mr Fogle of calling his wife a liar. Mr Arthanayake added: ‘She swears it was you and in fact she came home and told me about it straight away. it was around nine years ago. Tomorrow night’s ITV show will run through the top dog breeds as voted for by the public. In last year’s poll Labradors came top with a massive 41 per cent of the vote, followed by ‘mixed breed’ with 22 per cent. Border Collies came in third (18 per cent) and Jack Russels were in fourth with 13 per cent, followed by Staffies at six per cent. 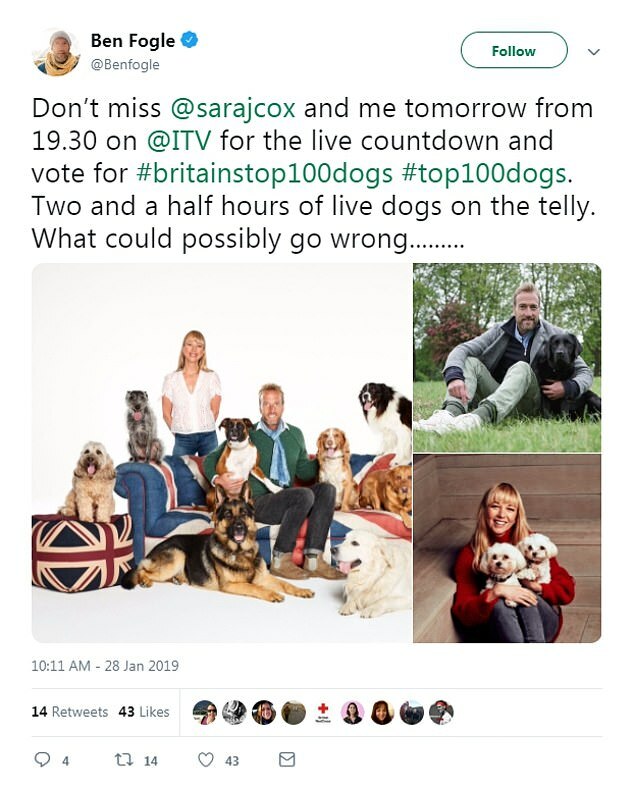 This year’s poll, which will be broadcast live from 7.30pm on ITV, will run down the chart from 100 to 10 but the final top ten breeds will be decided in the live countdown with the voting open to everyone watching at home. The nation has already been voting and this initial poll has determined which breed of dog has made it into the top ten – but the final ranking will be decided by the viewers. To vote for your favourite breed of dog go to www.itv.com/vote.